Marvelous Cornelius, the person, embodies the best of us. Day-to-day he performed his job—one many would consider unglamorous—with dignity, enthusiasm, and a spirit of giving to those he served. People responded positively to this larger-than-life man. Kids enjoyed his spirited antics. When disaster struck in the name of Hurricane Katrina, this French Quarter-New Orléans resident went to work cleaning up his city with the same joyousness as before, only this time, the residents responded not only with enjoyment to see their local “hero,” but pitched in following his lead. Together—including many volunteers from outside of New Orléans—Marvelous Cornelius led his neighbors in cleaning up their beloved city. 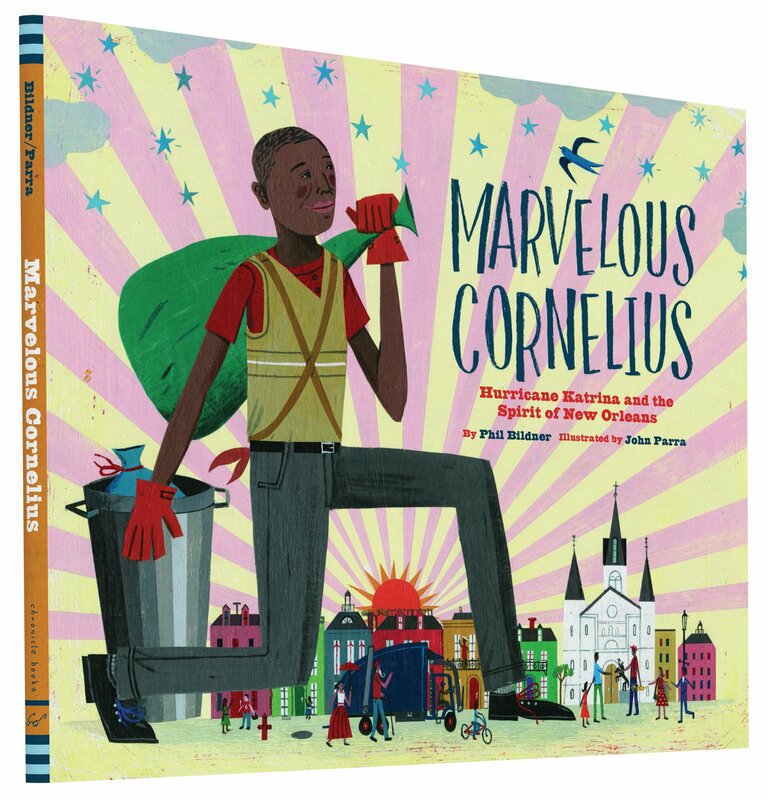 Just as he did on his daily job, Marvelous Cornelius helped keep New Orléans clean, for he was a garbage man by trade; garbage man extraordinaire. With the use of many writing techniques—alliteration, repetition, and exaggeration—author Bildner keeps the story lively. 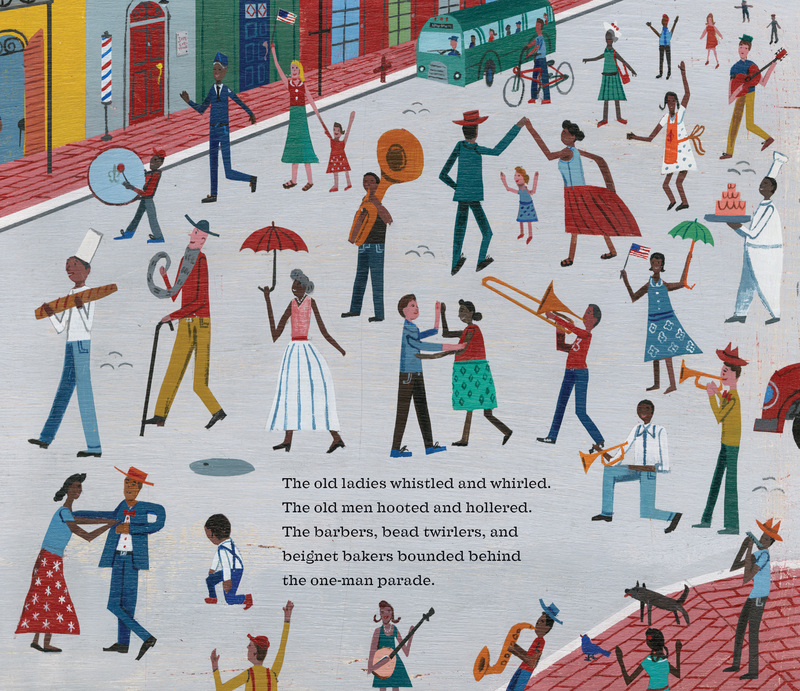 Children will enjoy Cornelius Washington’s story of how an ordinary citizen can help keep their city or town upbeat, their neighbors friendly and joyous, and their streets clean, making for a wonderful place to live. At story’s end, the author writes more about New Orléans, its people, and Hurricane Katrina (which brought major devastation to this coastal city). Bildner also delves into his writing style, saying his use of alliteration, repetition, and exaggeration helped him write Cornelius Washington’s story as a folktale, similar to that of John Henry. Together with artist Parra, Bildner has succeeded in writing a story every child should read and will most definitely enjoy. Teachers can find many lessons in Mr. Washington’s story of an average person who rose to heroic heights simply by doing his best every day. MARVELOUS CORNELIUS: HURRICANE KATRINA AND THE SPIRIT OF NEW ORLEANS. Text copyright © 2015 by Phil Bildner. Illustrations copyright © 2015 by John Parra. Reproduced by permission of the publisher, Chronicle Books, San Francisco, CA. Purchase Marvelous Cornelius: Hurricane Katrina and the Spirit of New Orleans at Amazon —Book Depository—iTunes Books—Chronicle Books. 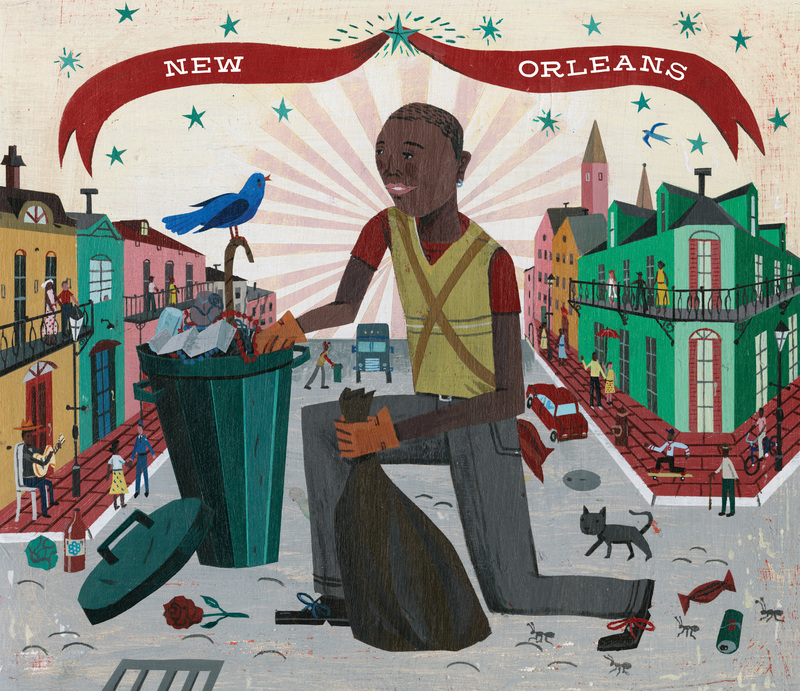 Learn more about Marvelous Cornelius: Hurricane Katrina and the Spirit of New Orleans HERE. Find a Common Core-Aligned Teacher’s Guide HERE. Read more about Katrina’s Children HERE. Watch the full length video Katrina’s Children free HERE. Yes, Lobo, Yes it was! What a great story. I saw this book somewhere and wondered what it was about. My kind of book. I love the lively illustrations! I’m reading a MG book right now about the New Oreleans that touches on Katrina. Great review! Thank you. I saw this in a promo and asked for a review copy. Chronicle Books always puts the magic touch into their books.